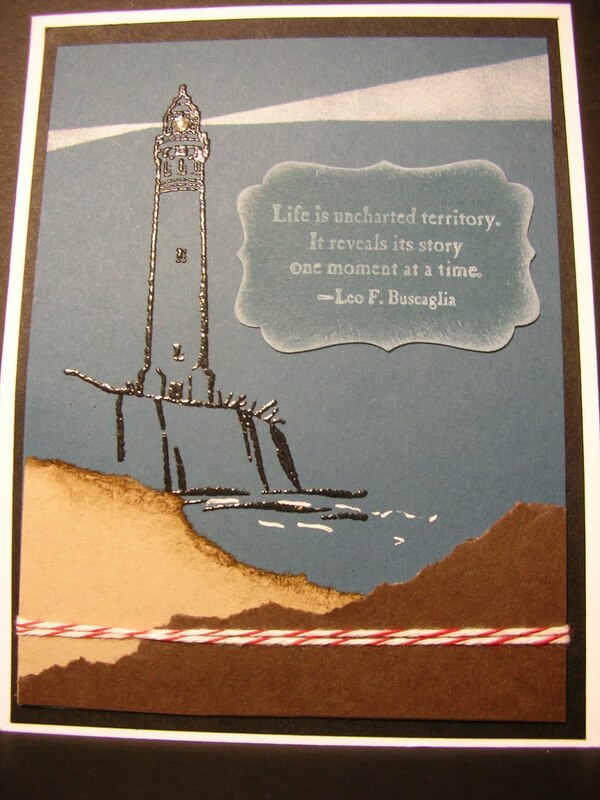 Here is a great card made by Gary Jensen, one of the few men at Stampin' Up! 's convention and a fellow early riser to get to the front of the line for general session. I always like swapping with Gary because he does wonderful work and gives me great ideas for more masculine cards. 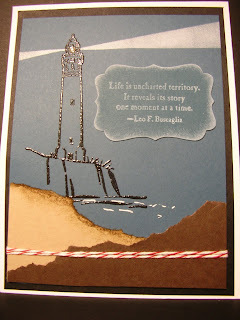 I love the effect he made using Whisper White craft ink on the Not Quite Navy cardstock for the lighthouse light. I just might end up with this set after all!